A hoop skirt is a women's undergarment worn to hold a skirt so that it’s fashionably shaped. 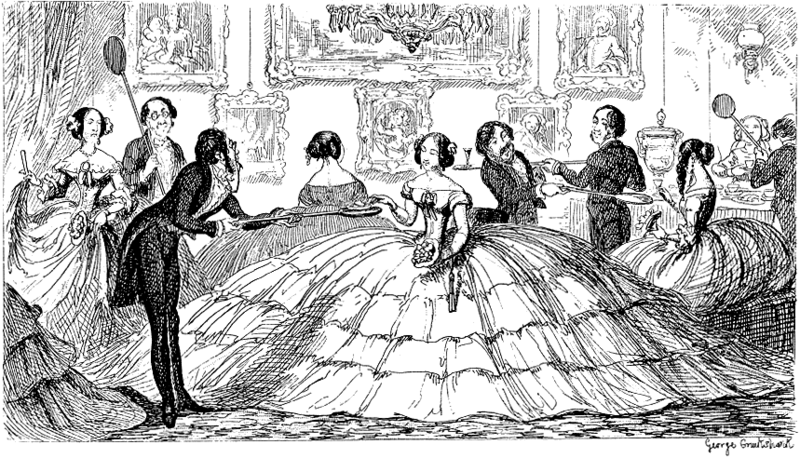 Back in the 19th century, women (especially of the aristocracy) loved to wear the crinoline, an extreme type of hoop skirt that could potentially kill the person wearing it. The killer hoop skirt was made from horsehair and thread or steel. The purpose of the crinoline is to form your skirt into extreme and extravagant shapes that an ordinary hoop skirt can’t. Because of its design, the crinoline was quite susceptible to gusts of wind. There are tales of women on piers that were swept up and carried out to sea, where they promptly drowned due to having a steel cage tied to their waists. The skirts would also get entangled in the spokes of carriages, dragging the women down the street. Then there was the less obvious dangers, like how it could knock over lit candles.